Slender and very graceful, The ribbon Palm a cold hardy beauty. The canopy is dark green and radiates out from the trunk to hang like delicate ribbons toward the ground. Flowers are yellow and are borne on a 4 ft inflorescence that is hidden among the fronds. Livistona decipiens, the Ribbon fan palm, is native to the east coast of Queensland, Australia. It's graceful form and robust nature have earned this palm a place in tropical and sub-tropical landscapes around the world. 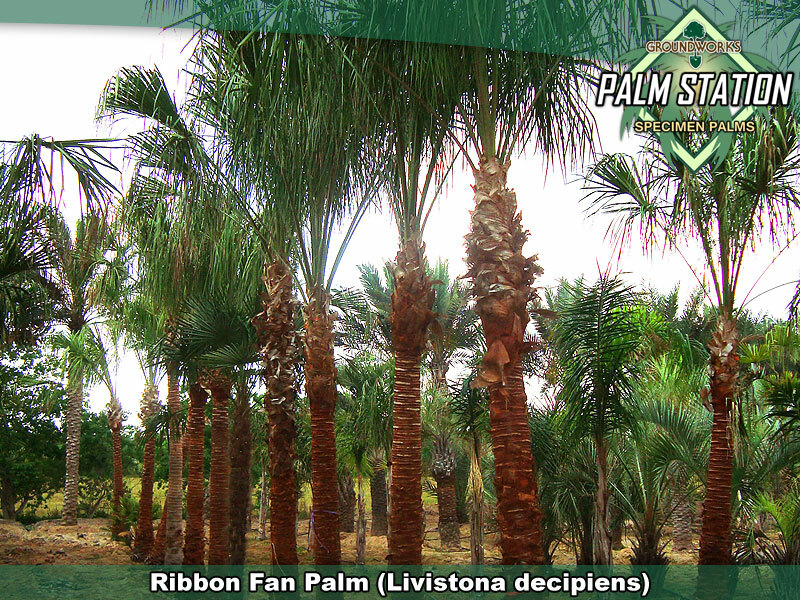 Ribbon fan palm happily adapts to many types of soil but prefers a fairly well drained environment. We have installed Ribbons with great success in many markets where heavy soils and wet conditions persist but in these plantings, the root balls are commonly planted 6” high and with a mulch layer crowned up to the base of the trunk. Will thrive in part shade to bright sunny exposures. USDA Zones 9 - 11. Ribbons will survive freezes into the mid teens but after the freeze event certain post event care is recommended to aid the palm in its recovery. Ribbon fan palm is an asset to any landscape. Plant where its delicate fronds will not be shredded by prevailing winds. Plant in an opening among trees or up against a wall or structure that can serve as a backdrop so that its form may be appreciated. Small specimens do well in containers and grow fairly rapidly. 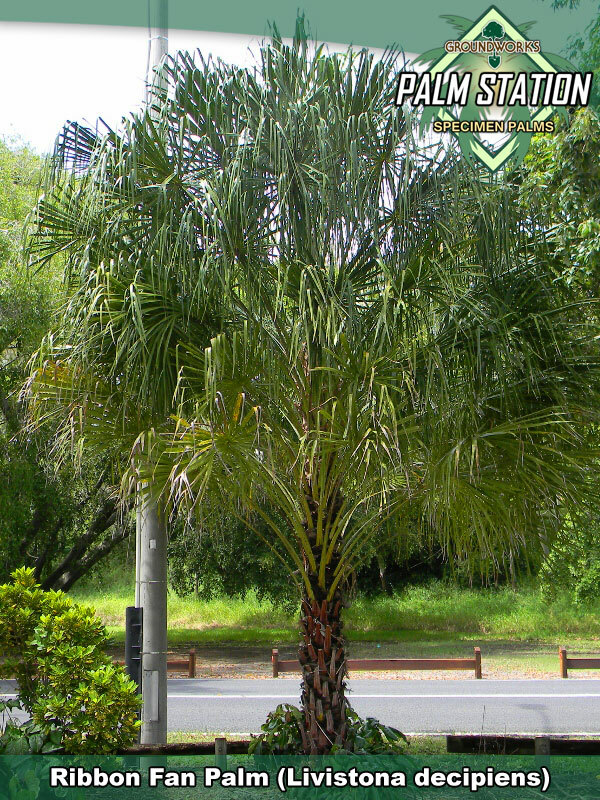 Attractive and tough, graceful and durable, consider adding this drought tolerant palm to any landscape where a degree of tropical but hardy appeal is sought. Groundworks stocks Specimen Ribbon palms in sizes ranging from 6 to 14’ of clear trunk at our nurturing facilities in Alvin and Spring Texas.